Hide deals from seller "My Dance Hub"
Limit 1 per person; may purchase 1 additional as gift. Valid toward services. By appointment only. Full value of Gift Certificate must be redeemed in 1 visit. 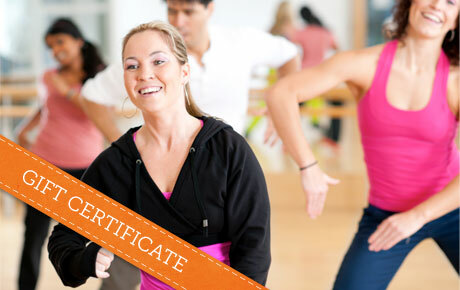 Discover the beauty of dance with 50% off a $20 Gift Certificate to My Dance Hub in Aurora. A variety of dance styles are offered to suit your personal preferences. Jaana Lillemagi, owner and two-time national dance champion, runs the show at My Dance Hub. She and her enthusiastic team of instructors will guide you as you learn a variety of Latin or ballroom dance styles. Learn the basics of classic dances such as the rumba, tango, foxtrot or waltz, or try out other social, Latin or ballroom dance styles. For those with an upcoming event, My Dance Hub offers private lessons with the option to choreograph an original dance. If you seek fitness over expression, they offer cardio dancing and Zumba to give you a great, high-energy workout set to music. Dance to your own tune with this deal. Ballroom and Latin dance studio in Aurora offering a variety of dance and fitness classes.